This month is Veganuary! Every year since 2014 Veganuary, a vegan charity, has been encouraging people to go Vegan for January. Now, I’m not vegan but I am interested in the vegan yarn that is available for vegan knitters, crocheters and weavers. If you’re vegan and don’t want to use any animal-based yarn there seem to be two obvious options – synthetic or plant-based yarns. However, what if you are also eco-conscious and don’t want to use yarns that have a detrimental impact on the planet? Then, it seems, the choice narrows. The Vegan Option is 100% Nylon. In fairness, further down the listing suppliers such as Yarn Yarn are listed, however, this simple search highlighted to me the difficulty of finding yarn if you are an eco-conscious vegan. Firstly, to state the obvious, if you’re vegan and don’t want to use animal-based yarns then wool and alpaca yarns are a no-no. But, why, if you’re an eco-conscious vegan are the acrylic and nylon options a problem? What’s wrong with Acrylic & Nylon? 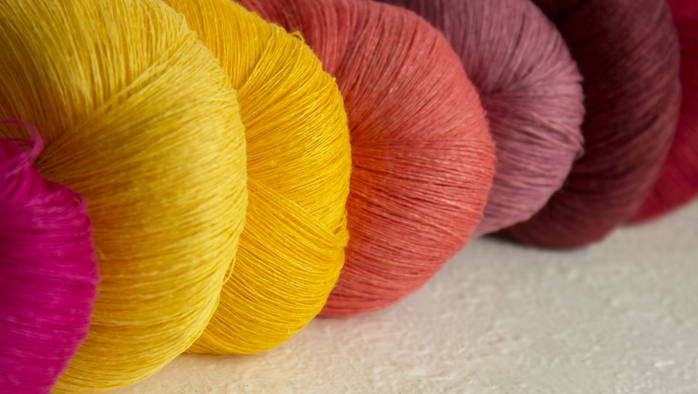 Acrylic and nylon are synthetic fibres frequently found in yarn. They add durability and are often offered at a lower cost than yarn derived from natural fibres. Without getting too technical, acrylic and nylon are manufactured from fossil fuels and are not readily biodegradable. The microfibres that are released when they are washed are a worrying cause of pollution in waterways and oceans. For me, this makes acrylic and nylon an unattractive choice – I don’t want to contribute any more than I already do to climate change and pollution. Not when there are viable alternatives. The following is my analysis of some of these yarns. Some of these are from independent suppliers, others are available from the larger brands. (In the spirit of transparency, I should tell you, some of these links will take you to the yarn on Love Knitting. If you buy a yarn there after clicking through from this blog, I will receive an affiliate fee of 5% or 15%). There are a variety of cotton yarns available, yet the cotton industry is in itself highly controversial. 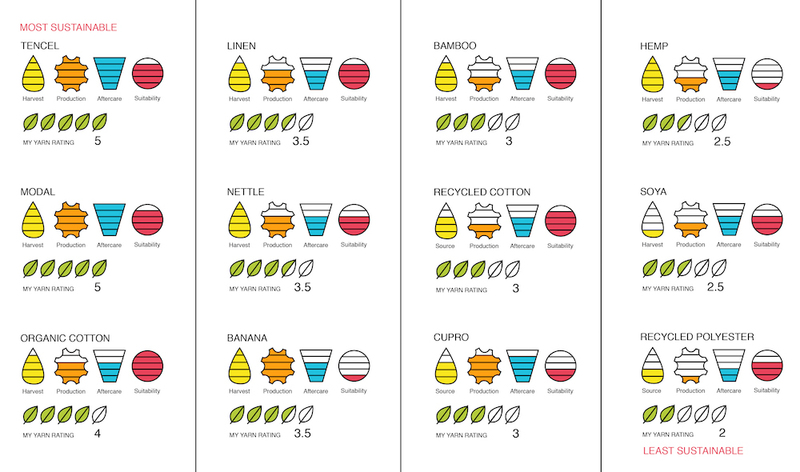 The amount of water and pesticides used to grow cotton, together with the health impact that these have on the people who grow and harvest cotton are widely documented. Nurturing Fibres Eco-Cotton – an eco cotton which though not organic is said to be “farmed with these principles”. Stoff & Still’s Organic Cotton – this is certified organic by the Global Organic Textile Standards (GOTS). GOTS is an internationally recognised certification, which guarantees an environmentally responsible and sustainable production from the harvesting of the organic cotton to the processing and finishing. BC Garn Alba Cotton – this Danish company produces a yarn from 100% organic cotton. The dyes used are also ecological as is the paper on label. 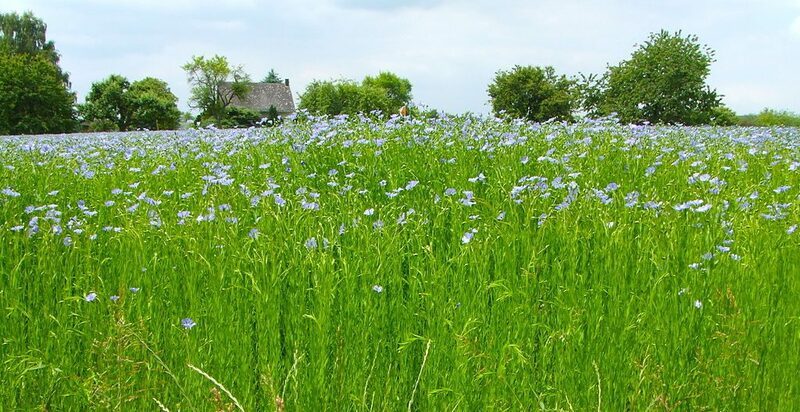 Linen comes from the flax plant and it requires less water and fewer pesticides than cotton. It is gentle on the land and easy to incorporate into crop rotation cycles. The processing of flax is done by hand and mechanical means so it is quite lengthy & labour-intensive. Linen yarns are consequently more expensive than their cotton counterparts. BC Garn Lino – 100% linen available in 23 colours. This is available online from The Loop Knitting Shop. Tencel® is manufactured by Lenzing AG and is the brand name for the fibre called lyocell. Lyocell is obtained from eucalyptus trees and, as a natural fibre, is biodegradable. Tencel® lead the way in the manufacture of ethical and sustainable lyocell. There’s a great explanation of it in Ecomall’s, What is Tencel®? article. Tencel has a list of eco-friendly credentials to its name e.g. it has Forest Stewardship Council (FSC) and Oeko Tex 100 certifications as well as having been awarded the European Community Eco-label flower for products and services with reduced environmental impacts. In the UK, the stand-out Tencel® yarns is Wool and the Gang’s Tina Tape yarn. It is an aran weight yarn that is manufactured from Tencel® using renewable energy. I’ve also found some stock of Prism Tencel® Tape – from the US based Prism Yarns on Love Knitting. A common assumption is that bamboo, as a renewable resource, is an eco-friendly choice. Whilst it is renewable and it can be grown without excessive use of water and pesticides, bamboo is not necessarily the go-to choice for people who care about the environment. Some bamboo producers are cutting down great swathes of forest to plant bamboo and the processing of bamboo is done with chemicals which, if not handled correctly, can be harmful to both people and the environment. I’ve spent a lot of time searching for a supplier of bamboo yarn that truly is ‘eco’. Part of the difficulty in doing this is trying to understand the complex supply chain of bamboo production in China. I definitely want to look further in to this and will write about my findings in a later post. For now, I have found one supplier that seems to be doing what they can to ensure their bamboo has a low impact on the environment. The fibre for Nurturing Fibres Eco Bamboo is sourced from a Chinese company that has an Okeo Tex Certificate and Nurturing Fibres themselves take care to minimize the impact of their processes on the environment. 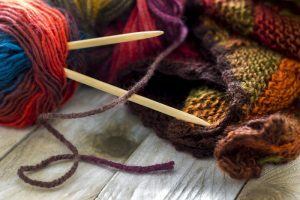 Vegan Yarn – Vegan Yarn is a Canadian supplier that offers eco-friendly, vegan yarns that are hand-dyed in their studio in British Columbia. They are committed to animal and human rights and environmental stewardship. Vegan Yarn has an extensive range of yarn including yarn that is 100% Organic Cotton. Flora Fibres – Flora Fibres supplies a variety of artisan vegan yarns that are handspun by Catriona in Scotland. She takes great care to source her fibres as sustainably as possible. The yarns are hand-dyed mainly using plants collected locally or from what she’s saved in her own kitchen. Catriona takes extra care to minimize the impact of the dyeing process on the environment. Banana Fibre Yarn – available from La La with Love – this yarn is made from the sustainable fibres that are scraped from the bark of a banana tree and hand spun by women’s co-ops in India. Hemp Yarn – House of Hemp – imports hemp yarn from Europe where it is grown without pesticides or herbicides. It is then plied by Cold Harbour Mill, one of the oldest mills in the UK, is coloured in the House of Hemp studio and spun with the aid of potato starch. What other Vegan Yarn is available? 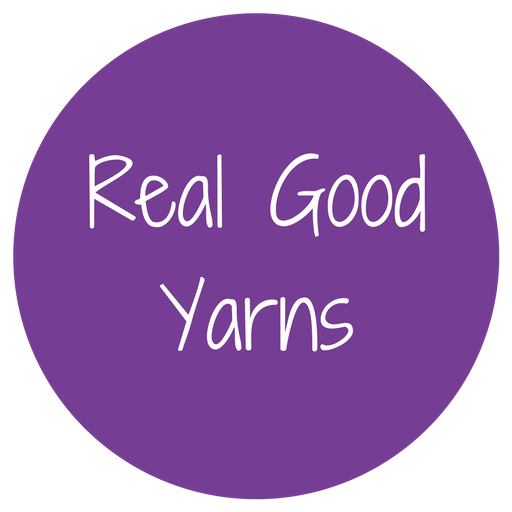 It would be great if you could let me know of any other eco-friendly vegan yarn that I could recommend or get listed on the Real Good Yarns directory. It would also be lovely to hear your experience of what these yarns are like to work with. Feel free to add comments here or join in the conversation on our Facebook Group. Very interesting and well researched blog. Thanks Sian! Thank you, Liz for your comments. I’m glad that you’ve found the post useful. I’m continuing my research in all aspects and hope to post a lot more of my findings soon. Have you looked into Rayon? Yes, Rayon’s on my list of fibres to research more fully. I do know that it’s derived from wood pulp or bamboo cellulose and is processed with a lot of chemicals but I do need to investigate further. Hi do you know where I could find a vegan felt that does not contain wool? i used to craft a lot with felt, and now looking at buying vegan felt supplies as mine run low. I don’t have any first hand experience of buying vegan felt. 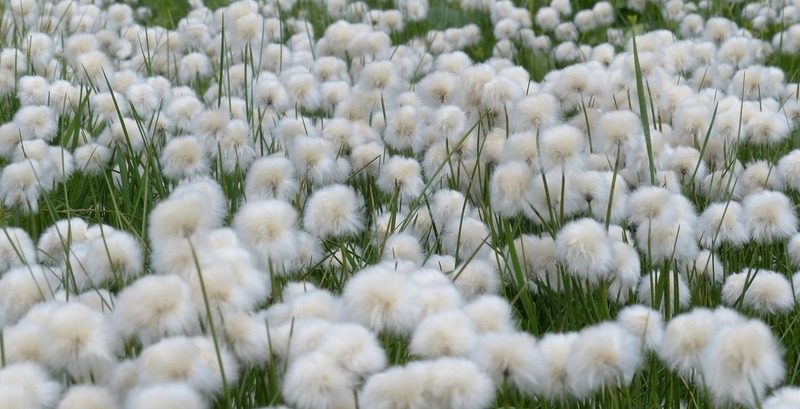 However, if you’re looking for tops for felting then Wild Fibres sell some from nettle, flax, cotton and ramie – http://www.wildfibres.co.uk/html/plant_fibres_to_spin.html. If it’s actual felt that you want then there’s Aetnafeltstore on Etsy. This is fantastic! Would you mind if I share this in a talk with students? Hi Clare – absolutely. Please share this with your students. Thank you, this article has been so useful! Thank you for a really useful article! Vegan means no use of animal products; vegans do not eat, wear or use anything from an animal and that is why we need to use alternatives. It matters not how the animal is treated or what the properties of the yarn are, if you are vegan by definition you do not use wool from sheep. Yes I agree there is a broad spectrum in ‘animal welfare’ for those who wish to continue to use animal fibres.